Phong Nha Ke Bang is a national park of Vietnam. 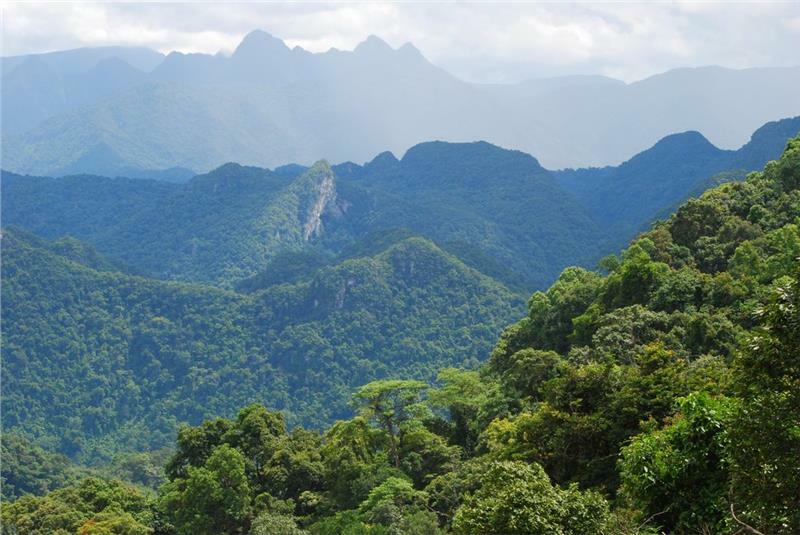 Having over 300 impressive caves, underground rivers, precious flora and fauna in Vietnam Red Data Book, Phong Nha Ke Bang geography attracts many expeditions to study and make research about this land. 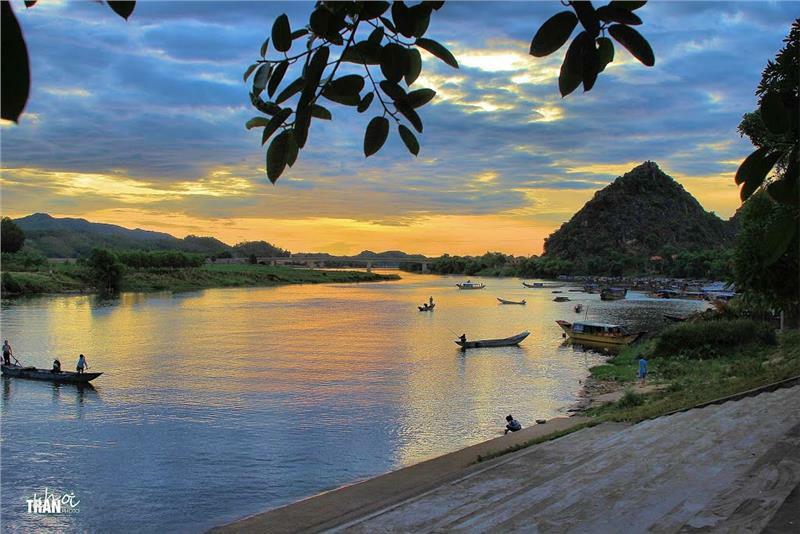 Phong Nha Ke Bang is located in Bo Trach and Minh Hoa district, Quang Binh province. The Park belongs to North Central Coast geography zone. It has the geographical coordinates from 17°21' to 17039' north latitude and from 105°57' to 106°24' east longitude. 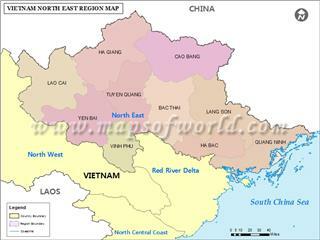 It is away from Dong Hoi city 50 km to the northeast and Hanoi capital 500 km to the north. Phong Nha Ke Bang National Park has the complex geological structure during the development of the Earth's crust in Ordovician period. This created three kinds of terrain and geomorphology in the Park. The first type is the low and rounded mountains with the abrasive shelf geology of soil along the valleys of Son River and Chay River. Another kind of Phong Nha Ke Bang topography is Karst tectonics characterized by the ancient tropical Karst mainly from the Paleozoic era. However, two third of Karst is from the Cenozoic era. Karst tectonic processes created a variety of landscapes including underground rivers and marvelous caves. A system of majestic caves in Phong Nha was formed by the process of tectonic fractures, followed by the physical and chemical weathering processes. In details, this land has oldest caves in ASEAN with a network of over 300 caves. These caves were formed 35 million years ago. According to British Cave Research Association (BCRA), a network of caves in Phong Nha Ke Bang has four world's leading values which are having the longest underground rivers, the widest and tallest cave entrances, the most beautiful and widest sands, and the most beautiful stalactites. In comparison with Gunung Mulu National Park in Malaysia, Puerto Princesa Subterranean River National Park in Palawan, Philippines, and Lorentz National Park in the west of Irian, Indonesia recognized by UNESCO as the World Heritages, Phong Nha Ke Bang National Park is older and has more complex geological structure and more diverse in a system of underground rivers. 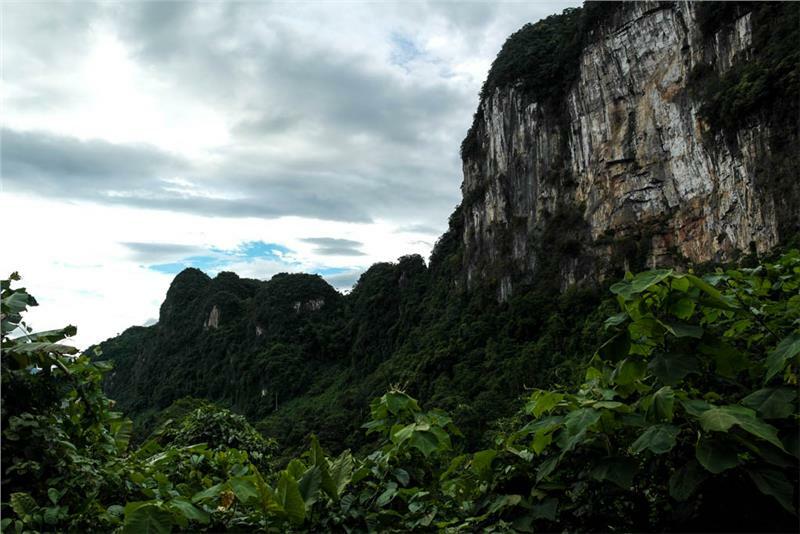 Like other regions in North Central Coast in general and Quang Binh in particular, the climate of Phong Nha Ke Bang has typical features of the tropical monsoon climate. The annual average temperature is 23 - 25°C with the highest number of 410C in summer and the lowest one of 60C in winter. The hottest time in a year is from June to August having the average temperature of 28°C. From December to February, the average temperature is 18°C. The annual average rainfall is 2,000 - 2,500 mm with 88% the rainfall concentrated from July to December. There are over 160 rainy days each year. The relative humidity is about 84%. Apart from cave system, Phong Nha Ke Bang also has the longest underground rivers. 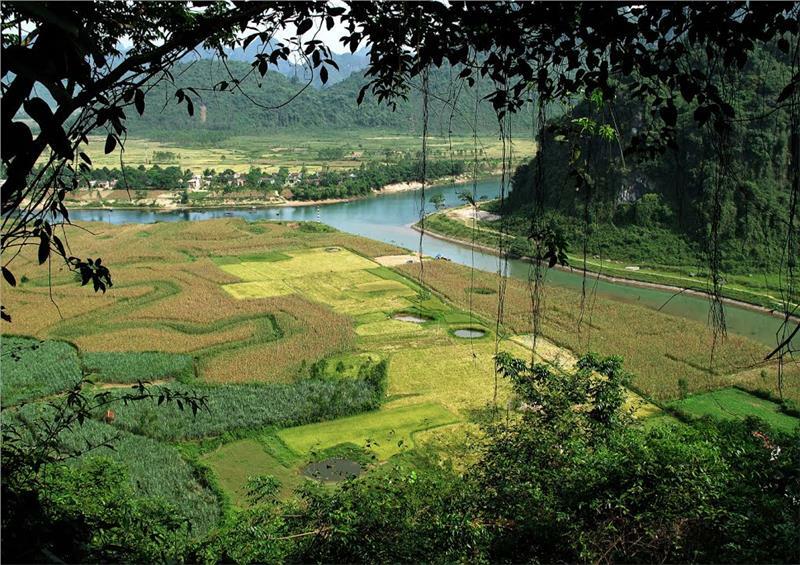 The characteristics of Karst topography created a complex system of rivers. Three main rivers in the Park are Chay River, Son River and Trooc River. The water supply for these rivers is the underground rivers and streams. The three rivers flow into Gianh River and then flow out to the South China Sea. The water of Chay River has green color because of having Ca(HCO3)2 and other mineral with the high concentration. In addition, the National Park also has a dozen of beautiful streams and waterfalls such as Thac Gio (Wind Waterfall), Me Loan Waterfall, Moc stream, Tra Ang stream, etc. With regard to Southeast geography, the region is adjacent Mekong River Delta to the west, with South China Sea to the south, with Cambodia to the north and northwest, and with Central Highlands and South Central Coast to the east and southeast. 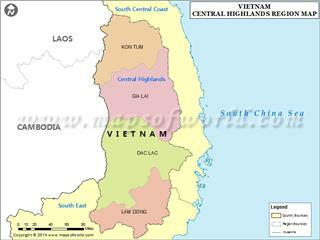 Central Highlands, one of 3 sub-regions in the Central of Vietnam is a large plateau region. Stretching from north to south, Central Highlands geography consists of 5 provinces, namely Kon Tum, Gia Lai, Dak Lak, Dak Nong and Lam Dong. South Central Coast geography is fairly special with its geological structures. Situated in the Central Vietnam, South Central Coast still hides precious potentials which need to be invested and explored. 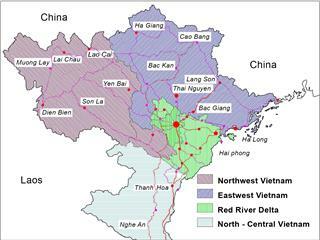 In term of North Central Coast geography, the region consists of six provinces and is adjacent Red River Delta to the north, People’s Democratic Republic of Laos to the west, South Central Coast to the south, and South China Sea to the east. Northwest geography is fairly special with its particular geological structures. 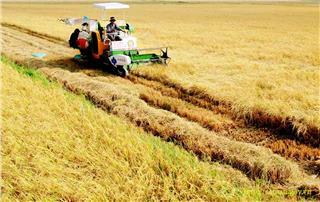 This is an important premise for the development of the region. Those who have spent their time studying Northeast geography affirm that potentials of the region are extremely enormous. 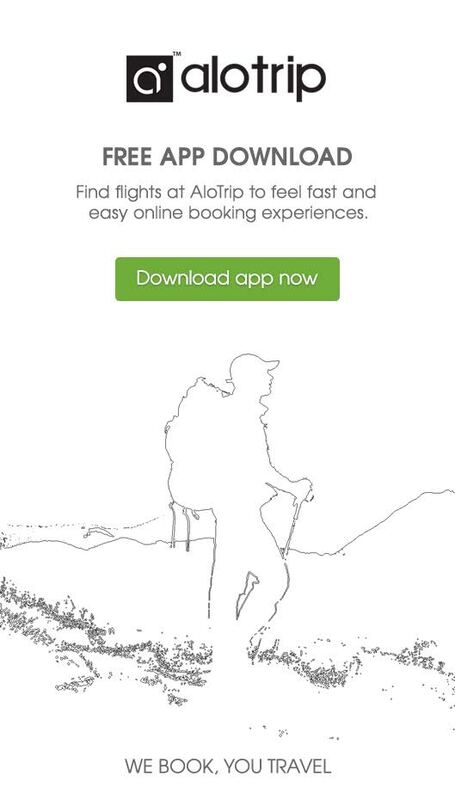 Accordingly, all of advantages on the geographical location and natural conditions are gradually fully exploited. 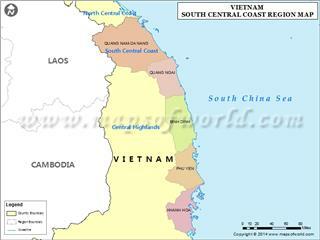 Land resources in Vietnam are key issues in the development history of the country. 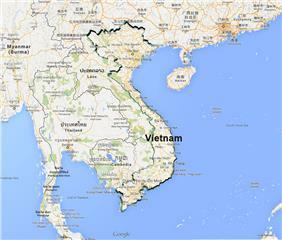 Vietnam natural land holds an area of about 33 million hectares and unevenly allocates in different ecological zones. 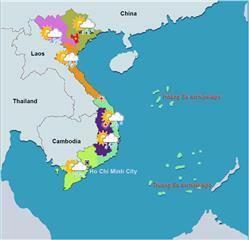 Vietnam weather owns many distinct characteristics from the north to the south. Accordingly, there is a warm humid subtropical climate in North, whereas monsoon tropical climate in Central, and Savanna tropical climate in South and Central Highlands. Situated in the prime location, Vietnam area and border keeps an important role in the development of economy, politics, and culture among countries in the region in particular and over the world in general. 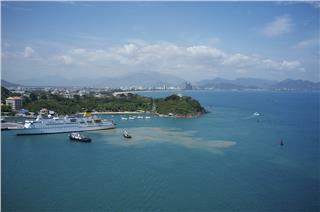 A study of natural regions in Vietnam will reveal many important aspects of the country. 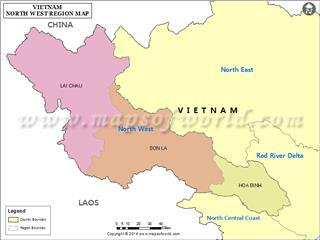 Accordingly, Vietnam still maintains different regions, geographical features, and natural resources needed exploiting. 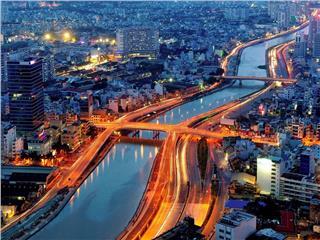 Ho Chi Minh City, also known as Saigon, is one of the biggest and most prosperous cities in Vietnam. 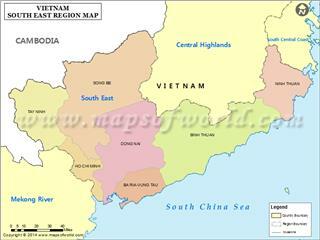 Ho Chi Minh City geography is quite diverse and favorable for the development of the city in all aspects. 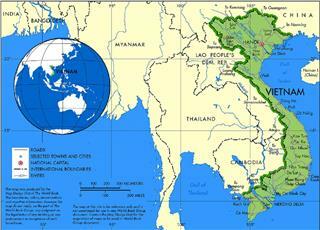 Vietnam has a border with China to the north, with Laos and Cambodia to the west, with Gulf of Tonkin and South China Sea to the east and with Gulf of Thailand to the south. 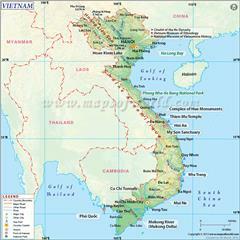 Vietnam geography brings priceless values having been thoroughly explored. 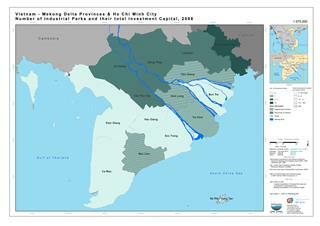 Mekong Delta geography takes an important implication for the development of whole region. 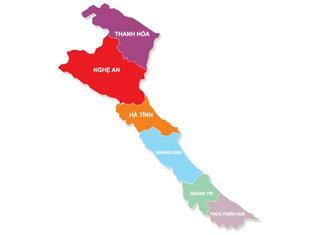 Located in a prime location, Mekong Delta simultaneously holds a strategic position of the country. Being recognized as the pearl of the South China Sea, Nha Trang geography has made the city become one of famous tourist destinations in Vietnam because of its natural beauty and cool climate. Northern midland and mountain geography is fairly special with particular geological structures. This is an important premise for the development of the region.